The time has finally come — Master of None is about to reveal its second season on Netflix. And to celebrate, Aziz Ansari revealed his childhood crush, as well as some other fun facts about himself, in a video prepared by Vogue. The team over at the fashion magazine asked Ansari 73 questions about himself, and while all of them were incredible, we were especially touched by knowing who Ansari looked up to as a young man. It turns out that Ansari — who has built a career in joking about relationships of today — had a crush on Elaine Benes from Seinfeld. Not necessarily Julia Louis-Dreyfus, but Elaine Benes herself. Not only do we understand, but we 100% approve. First, Benes is known for her ’90s style. And second, she’s got incredible dance moves. But really, Ansari chose an extremely funny woman who, off camera, managed to really pave the way for other funny women in comedy. So, it’s nice that he added that “not liking Seinfeld” was totally a dating dealbreaker for him. His answer also reveals why Master of None is such an incredible show. Ansari likely grew up with so many classic comedies that helped his career flourish. It’s probably why he signed onto Parks and Recreation as well — he knew a hit when he saw one. We’re sure that Louis-Dreyfus would be totally flattered to hear this information. 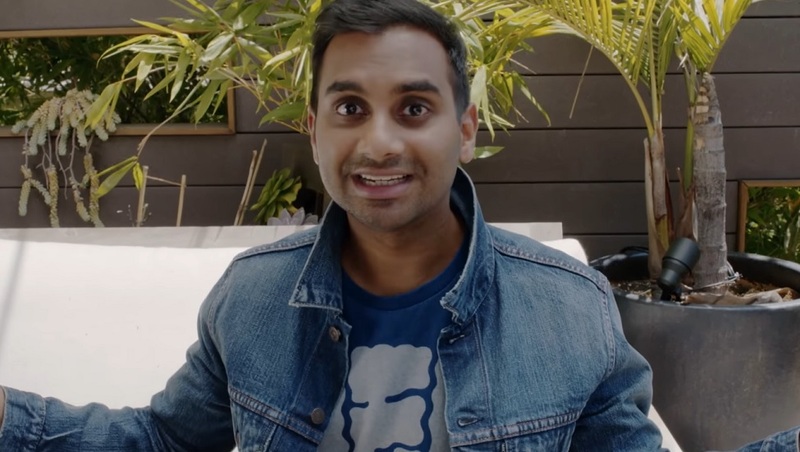 Knowing your character has been crushed on by someone as incredible as Ansari is definitely good news to hear.